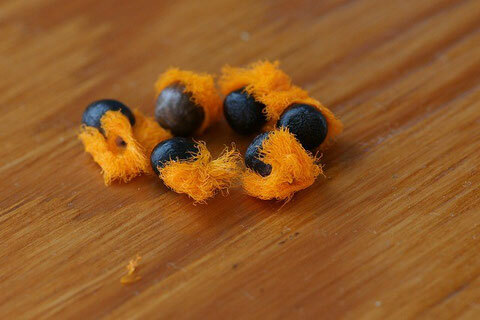 Have you ever seen the seeds of Strelitzia (Bird of Paradise Flower) ? 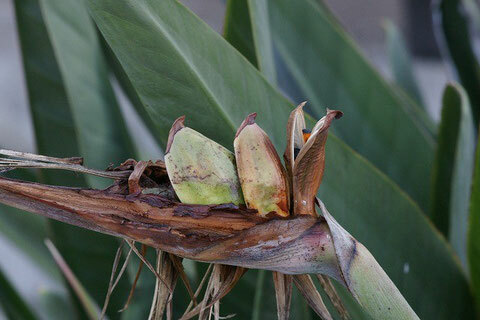 I've seen them sold at stores, but this was my first time to see the Strelitzia bearing the seeds here at Koloa Jodo on July 22, 2014. 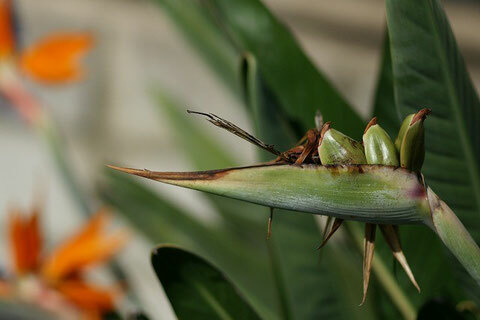 They say it's so rare for the Strelitzia to produce seeds from the natural pollination because of the less pollinators. 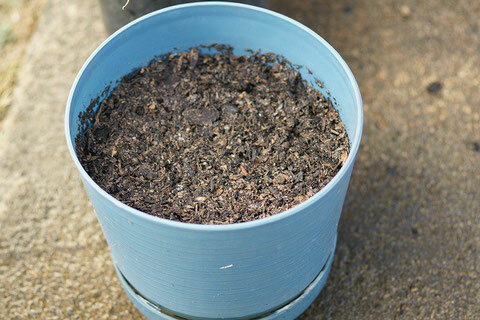 Besides, multiplication of this plant by separating the roots is so easy and fast, maybe, the flower is getting lazy about producing the seeds. 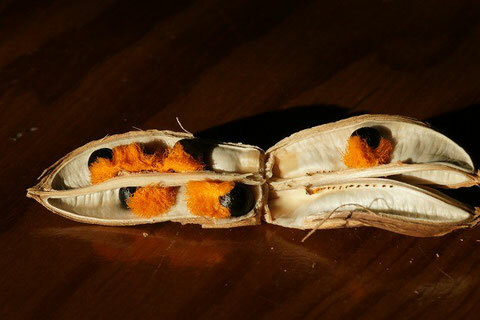 Anyway, I have been paying attention to the seed-pods growing and now it's a harvest time.